Amazon is a great place for buyers and sellers – when it’s done right. To get the most out of Amazon, you must avoid a few pitfalls. Some of the following mistakes can tank your bottom line rather than expand your reach. Leveraging Amazon to boost your business is smart, but, if you make the following mistakes, it can mean more trouble than it’s worth, causing you to spend extra time on something that’s not increasing your profits. Having an appealing image to showcase your product or accompany your service is just good business, but it also matters to Amazon. The primary image must have a white background without watermarks or URLs. Furthermore, the image must accurately reflect the product you are selling. Amazon doesn’t want dissatisfied customers, one sure way to make a customer frustrated is ordering a product but getting the wrong one because of name confusion. Be clear in your product description, and keep your title short. Remember, you can’t use HTML codes or symbols, so the customer is relying on both the name and the description to order the right product. Many people feel like they are at the mercy of the product description when internet shopping. You want customers to know what you are selling, so take some time to craft a description that is detailed and explains exactly what your product is – down to the measurements. These are all crucial, and Amazon does offer guidelines to ensure these three issues at least up to their standards. However, if you make these things shine, you’ll get more sales, and then it get easy; once you get noticed, Amazon’s search engine notices your business, and you get higher ranking inside the service. Perhaps the biggest mistake happens because it needs such constant tending – customer care. Amazon focuses on the experience of its shoppers; if you’re not doing the same, you may not get the most out of your Amazon sales experience. 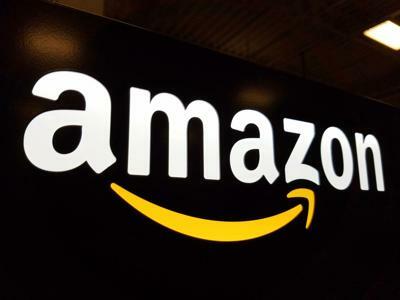 The second of the big mistakes is businesses assuming Amazon’s regulations suggestions rather than policies – follow their rules to the letter or risk losing your privileges to sell with Amazon. In some cases, violations of their policies can get you permanently banned. Don’t Solicit Amazon Reviews from Family and Friends. Amazon can discover your social media links. If they find you getting five-star reviews from friends on Facebook, it could affect your ability to sell with them. This may result in a lifetime ban from ever selling on Amazon again. The key to success on Amazon is proper attention to your account, not setting up multiple accounts. The penalty is too steep and the reward too small to be worth it. It may be tempting, but it’s a pretty easy catch and not worth sacrificing your ability to sell on Amazon. You’ve heard it before – the customer is always right – but Amazon takes this mantra seriously. It will bump businesses to the head of the line for good consumer responses. Here’s how to make that happen. It doesn’t matter what day of the year it is, if a customer contacts you, Amazon requires that you respond within 24 hours. Even if your product doesn’t fall under their Prime sponsorship, slow turnarounds generate low reviews, which will move you down in the search rankings and could get your account banned. Sometimes, customers will give a one-star review for something that had nothing to do with you. Respond if you can and ask if there is any way you can improve their experience. Treating customers with respect – even when they are wrong – generates good word of mouth for you and keeps you in Amazon’s good graces. In addition, be sure to ask for reviews. Amazon expects that 2-5% of your sales will receive a review. Maintaining this rate of reviews will keep you high in their search rankings. Though this is a digital experience, some aspects of sales are the same as if you were selling in your own brick and mortar store. Make sure you have enough product in stock, learn the keys to effective advertising, and don’t focus exclusively on one product. The most important thing to consider when working with Amazon is to maintain their culture as you showcase your business. For most companies, working with Amazon is a boon for business; just avoid these mistakes and see sales soar.